I’m judging “everyone hated” by the average rating on Goodreads, and the lowest rated book that received my highest rating was All Fall Down by Jennifer Weiner…I was horrified. I loved this book so, so much. Kiesha and I both reviewed it, actually, as our first review on this blog. Granted, it has an average rating of 3.62. That’s probably not hate, but still. I rated it 5/5, so 3.6/5 may as well be hate! 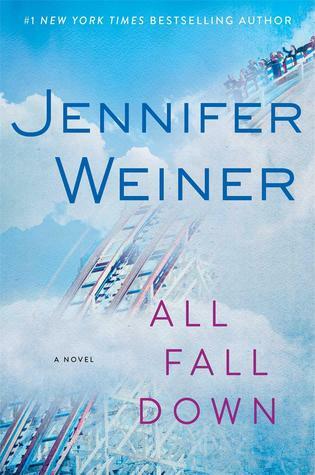 You can read our reviews, but in a nutshell, All Fall Down follows Allison Weiss through her prescription pill addiction and seemingly perfect life. 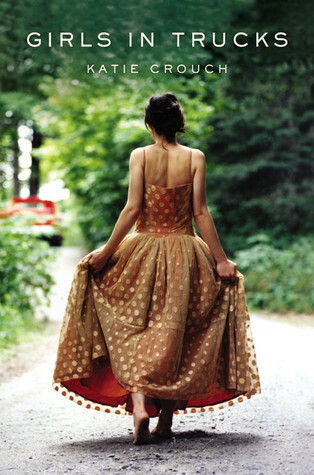 Things aren’t always as they seem, though, and she goes into a downward spiral of addiction and self destruction. It was a very emotional and moving, and made me cry multiple times. Girls in Trucks by Katie Crouch is the book that received my highest rating (5/5) but the lowest average rating (2.84/5) overall on Goodreads which is totally weird to me. It’s one of those books that is set in the South that I love so much,about a girl named Sarah Walters. Here is a partial summary from Goodreads: Sarah Walters is a less-than-perfect debutante. She tries hard to follow the time-honored customs of the Charleston Camellia Society, as her mother and grandmother did, standing up straight in cotillion class and attending lectures about all the things that Camellias don’t do. (Like ride with boys in pickup trucks.) When life’s complications become overwhelming, Sarah returns home to confront with matured eyes the motto “Once a Camellia, always a Camellia”- and to see how much fuller life can be, for good and for ill, among those who know you best. I obviously really liked it, but I like most books set in the South. It was funny and lighthearted, a nice break from all the heavy mysteries/thrillers that I read so often.